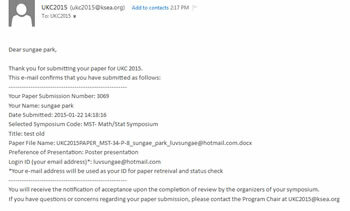 To be accepted to UKC 2015 and eligible for travel reimbursement, all participants must submit a paper along with the Speaker Information Form and Copyright Form. 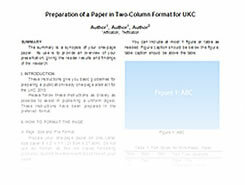 All papers must be submitted using the one-page template provided by UKC 2015. 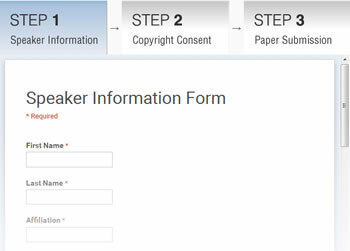 Fill out Speaker Information Form and click "Submit"
After the confirmation page, click on the "Step 2: Copyright Form" tab to fill out Copyright form. 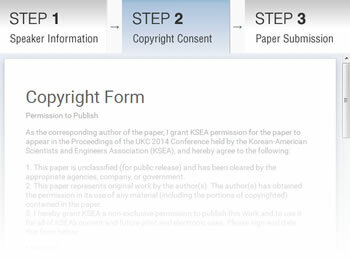 Copyright Form is to grant KSEA permission for the paper to appear in the Proceedings of the UKC 2015 Conference. Please make sure to type your full name in "Signature" field. Click "Submit" when you are done. 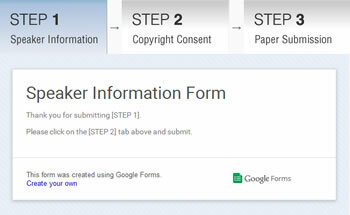 After the confirmation page, click on the "Step 3: Paper Submission" tab to upload your paper. Email: you will be able to retrieve and update your paper using the email address you're providing in this form. All notification email (e.g. acceptance email) will be sent to this email address as well. Presentation Preference: All submitted paper will be reviewed by the symposium chair and assigned either as invited, oral or poster presentation. 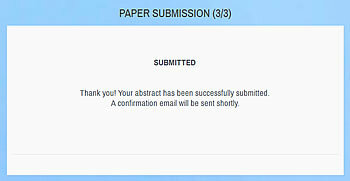 If your submission is successful, you will see the confirmation window. Also, a confirmation email will be sent to the email address you have provided. 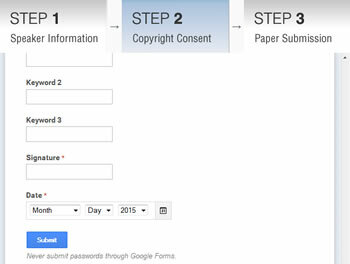 To check submission status, login with your email and password used for paper submission. 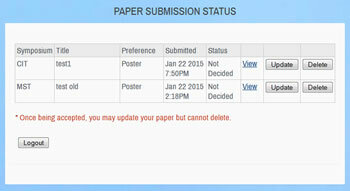 To update your paper submission, click "Update" button. 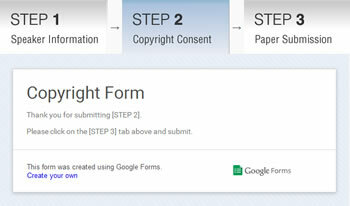 Fill out the information and choose a file to upload. Even if you may want to update only one field (e.g. 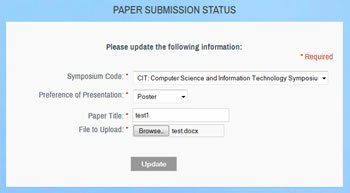 paper title or presentation preference), you have to fill out all the required fields and re-submit your paper. 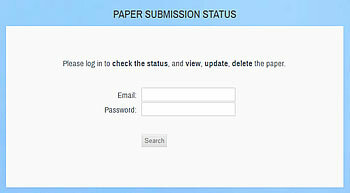 You may check the updated status by loging in to Paper Submission Status. 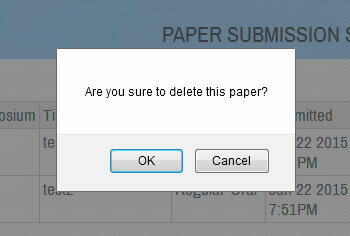 To update your paper submission, click "Delete" button. * You cannot delete your submission after the decision is made. You may still be able to update your submission. After deleting your file, your submission list will be empty.